Fully rotatable, multi-color display makes this a must-have for any performer. The DAddario Clip-On Headstock Tuner precisely tunes guitars, basses, and other stringed instruments utilizing vibrations rather than sound. 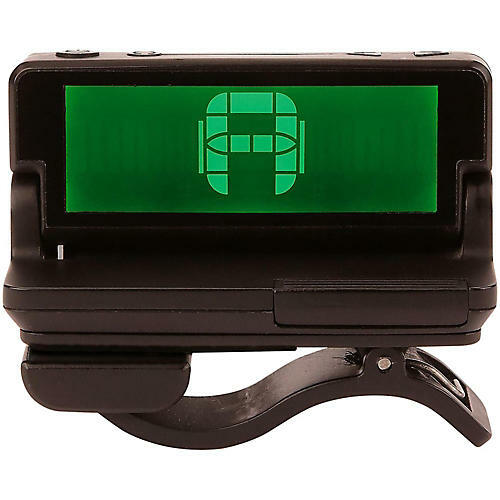 Using a highly sensitive piezo sensor and large multi-color display, the Clip-On Headstock Tuner allows you to tune easily and accurately in noisy and dimly lit environments where many other tuners fail. The tuner features a flip-up display that automatically powers the tuner on when opened and off when closed. The 360-degree rotatable display allows for use on right-handed and left-handed instruments. D'Addario tuners are designed by musicians for musicians featuring intuitive features, easy-to-read displays, and exceptional tuning accuracy. Stay in tune in any situation. Order today.